This Tour starts near Union Station in Downtown Los Angeles. The Ride to the Beach and back is part of our bicycle workout series. This tour could be a fourty to fifty plus mile bike ride (80.4 k )(Half Century). A very unique way to see and learn about our beautiful city. All while getting a bunch of miles under your belt. 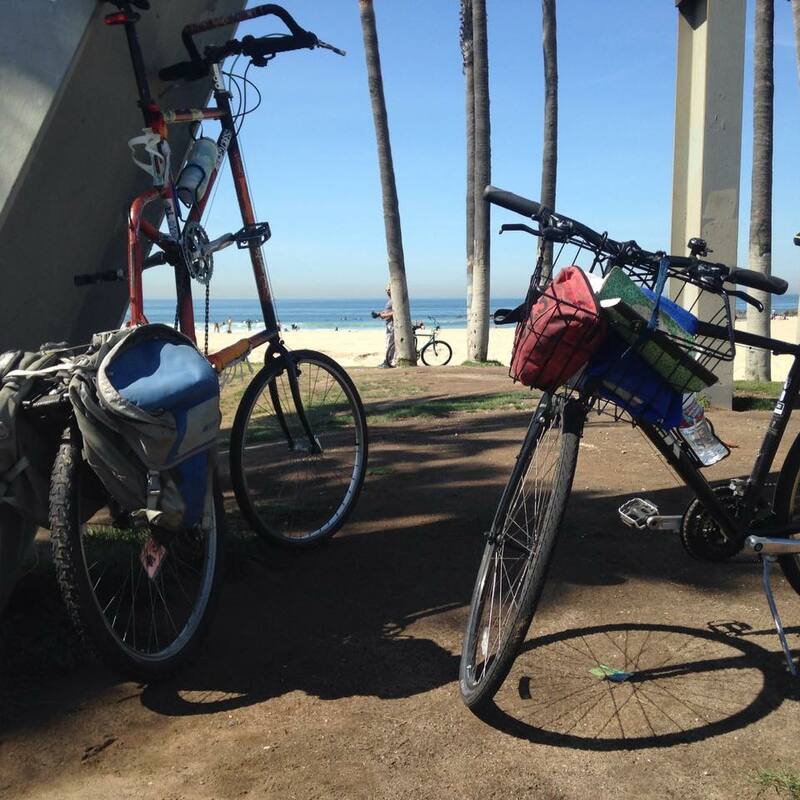 We will ride past many iconic Los Angeles landmarks and neighborhoods like: Art's District, DTLA, Staple Center, USC Campus, Exposition Park, The Coliseum, South Los Angeles, Crenshaw Blvd, Culver City, Ballona Creek, Marina Del Rey, Venice Beach, Santa Monica and the Santa Monica Pier. We will probably make some stops to check out some urban street art or graffiti art. You will see a side of Los Angeles that visitors rarely get to see. You will notice the changes in neighborhood's, the architecture, the businesses and apartment buildings. To a sudden change into golf courses, private driveways, trendy cafe's and mansions. You get to witness it all while riding bike's through all of these neighborhoods. The scene on the streets changes so much as we ride West towards the beach. At times you kind of forget that you are still in Los Angeles. Then, as we approach the beach cities and the air changes, you will start to feel the cool ocean breeze, and see the Southern California beach community life. We will ride through Marina Del Rey and you will see the marina filled with Yatch's and vessels, high rise luxury condominiums. We will visit the Venice of America Canals and the Venice Beach Boardwalk and possibly make a few stops there to soak up the scene. (depending on time of day) possibly grab lunch. From there, we will make our way to the Santa Monica pier via boardwalk and bike path. Then up to Santa Monica's 3rd Street Promenade. Shortly after that, we head back inland. Before riding back, we will decide which route will work best for our Bicycle Workout. At this point we can either ride back to our start point or end the tour at the beach and jump on public transportation to head back to our start point. Riding one way will be about a 35 mile bike ride (40.2 k). If you decide to ride back with us, we have a few routes we can take back into downtown. Any route you pick will be safe and eye pleasing. 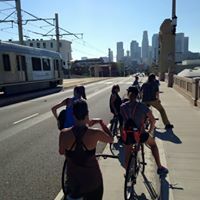 On our way back we will ride through communities like: Santa Monica, Brentwood, Beverly Hills, West Los Angeles, Hollywood, Silverlake, Echo Park, Angelino Heights, & ending up near Chinatown. By the time you get back into Downtown Los Angeles, we hope you will have reached your desired miles for the day and that you enjoyed riding bikes with us! When it is all said and done, you could end up with up with about 53 to 57 total miles for the whole tour. The terrain for this tour is mostly flat with a few inclines here and there. We have a tougher route if that's what you are into, just ask our guide. We will make a few stops along the way, to look at stuff or rest. Our guide will make sure you get the workout your body is craving. We can cruise or smash to the beach, you decide the pace. This tour will most likely be a private tour, that way you can decide what pace to ride. Please email us if you have any questions about this tour. We can adjust the start time if booked ahead of time. You are welcome to bring your own equipment or cycling shoes.